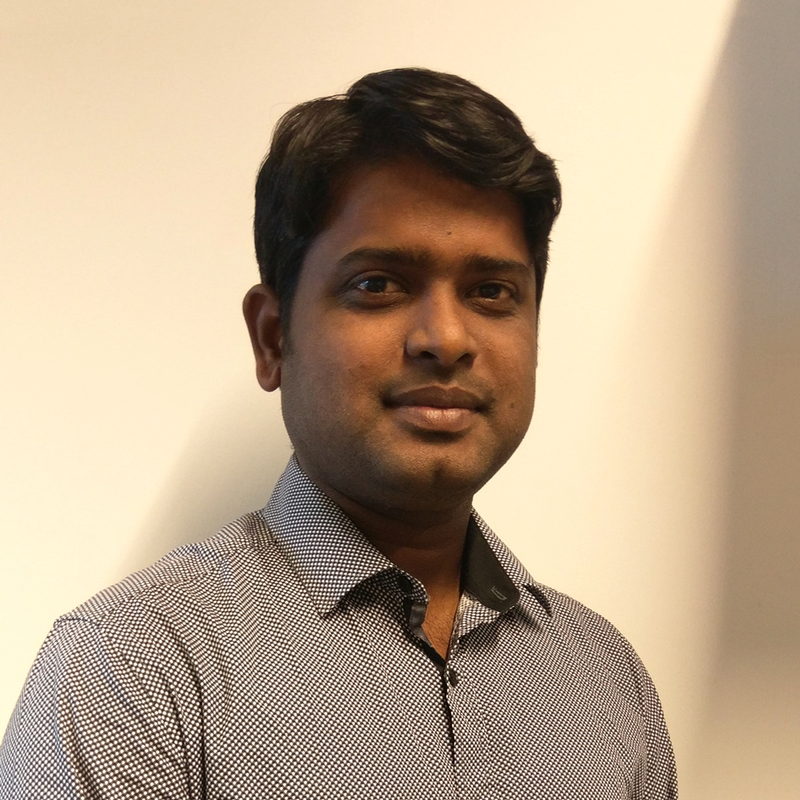 Dr Deepak Puthal is a Lecturer (Assistant Professor) in Faculty of Engineering and Information Technologies at University of Technology Sydney, Australia. He received his PhD from University of Technology Sydney, Australia in 2017. Prior to this position, he was working at Commonwealth Scientific and Industrial Research Organisation (CSIRO), Australia and Qatar Mobility Innovations Center (QMIC), Doha, Qatar. His research interest mainly focused on Cyber Security, to design and develop security and privacy model for Internet of Things (IoT), Distributed Computing (Edge/Fog Computing). In credit to his research, he has published several ERA ranked A*/A conference and journal papers including IEEE and ACM transactions. He has received two best paper awards from IEEE Consumer Electronics Society for his Blockchain papers from IEEE Consumer Electronics Magazine. One of his paper published in IEEE Cloud Computing appeared as technology spotlight/highlight paper. He is also reviewer of several international journals and IEEE Transactions. Puthal, D 2012, Secure Data Collection & Critical Data Transmission in Mobile Sink WSN: Secure and Energy efficient data collection technique, LAP LAMBERT Academic Publishing, Germany. This book gives an excellent overview on secure and energy efficient data collection taking sink as the dynamic and other sensors are static in Wireless Sensor Networks. Mobile sink wireless sensor networks (MSWSN) Sensor nodes are low cost tiny devices with limited storage, computational capability and power except the sink node. Mobile sink has no resource limitation. Here we proposed energy efficient secure data collection techniques with mobile sink wireless sensor networks and secure the data collection process using symmetric key cryptography. we also proved an existing protocol Sensor Protocol for Information via Negation (SPIN) is efficient for critical data transmission to the mobile sink. Then we make it as the secured protocol by using symmetric key cryptography. All the simulation has been carried out with NS 2.34. This work is supported by the literature survey in the area of Mobile Sink Wireless Sensor Networks to make it complete. IEEE Internet of Things (IoT) provides a promising opportunity to build powerful data analytics systems with real time event detection for smart health, and therefore wearable IoT has become a rising source of big data streams for smart health, for which security needs to be assured by detecting real-time event to avoid malicious activities, and meanwhile to control the information leakage of big sensing data streams. I refer to this as an information flow control problem. To address this problem, this paper proposes a static lattice model for information flow control over big sensing data streams. I initialize two static lattices i.e. sensor lattice for wearable sensors and user lattice for users, and then static lattices aim to process the flow control model faster, because I am dealing with high volume and velocity of data streams. The experimental evaluation and results of the information flow model show that it can excellently handle the incoming big data streams with low latency and buffer requirement. IEEE The sybil attack in IoT commonly aims the sensing domain that may impose serious threat to the devices both in perception and communication layer. The singularity of the sybil attack is a sybil node that publish multiple identities of legitimate devices. It is highly essential to learn the behavior and predict possible actions of a sybil attacker while devising a defense mechanism for it. This paper provides a comprehensive characteristic analysis of sybil attack in IoT. Based on the nature of the task performed during this attack, it is classified into 3 phases as compromise, deployment, and launching phase. The compromise phase is modeled as an automaton with attacker state transition as a markov chain model. A heuristic is also proposed for selection criteria of an attacker to compromise a node. In the deployment phase of the attack, an algorithm based on K-mean clustering is proposed to group compromised identities and deploy the sybil node for corresponding identities without violating the set of adjacent nodes. In the launching phase, the process of replacing sybil identities either over time or on detection is modeled using age replacement policy. The results depict that the proposed model effectively visualize the behavior of a sybil attacker in challenging environments of Internet of Things. © 2018, Springer-Verlag GmbH Austria, part of Springer Nature. With the advent of OpenFlow, the concept of Software-Defined Networking (SDN) becomes much popular. In the past, SDN had often been used for network virtualization; however, with the rise of OpenFlow, which speeds up network performance by separating the control layer from the data layer, SDN can be further used to manage physical network facilities. Currently, some OpenFlow controller providers have already provided users with load balancer packages in their controllers for virtual networks, such as the Neutron package in OpenStack; nevertheless, the existing load balancer packages work in the old fashion that causes extra delay since they poll controllers for every new coming connection. In this paper, we use the wildcard mask to implement the load balance method directly on switches or routers and add a user prediction mechanism to change the range of the wildcard mask dynamically. In this way, the load balance mechanism can be applied conforming to real service situations. In our experiment, we test the accuracies of flow prediction for different predicted algorithms and compare the delay times and balance situations of the proposed method with other load balancers. With the popularity of cloud computing, the demand for cloud infrastructure also increases. As a result, we also apply our load balance mechanism on cloud services and prove that the proposed method can be implemented to varieties of service platforms. © 2018 Elsevier B.V. Secure interoperation is an important technology to protect shared data in multi-domain environments. IRBAC (Interoperable Role-based Access Control) 2000 model has been proposed to achieve security interoperation between two or more RBAC administrative domains. Static Separation of Duties (SSoD) is an important security policy in RBAC, but it has not been enforced in the IRBAC 2000 model. As a result, some previous works have studied the problem of SMER (Statically Mutually Exclusive Roles) constraints violation between two RBAC domains in the IRBAC 2000 model. However all of them do not enforce how to preserve privacy of RBAC policies, such as roles, roles hierarchies and user-role assignment while detecting SMER constraints violation, if the two interoperable domains do not want to disclose them each other and to others. In order to enforce privacy-preserving detection of SMER constraints violation, we first introduce a solution without privacy-preserving mechanism using matrix product. Then a privacy-preserving solution is proposed to securely detect SMER constraints violation without disclosing any RBAC policy based on a secure three-party protocol to matrix product computation. By efficiency analysis and experimental results comparison, the secure three-party computation protocol to matrix product based on the Paillier cryptosystem is more efficient and practical. © 2018 IEEE. This article introduces the concept of proof of authentication (PoAh) for the lightweight implementation of blockchains in the Internet of Things (IoT). The PoAh can replace existing consensus algorithms, such as proof of work (PoW), proof of stake (PoS), and proof of activity (PoA), for resource- and energyconstrained infrastructures, such as the IoT. © 2017, Springer Science+Business Media, LLC. The rapid growth of todays IT demands reflects the increased use of cloud data centers. Reducing computational power consumption in cloud data center is one of the challenging research issues in the current era. Power consumption is directly proportional to a number of resources assigned to tasks. So, the power consumption can be reduced by a demotivating number of resources assigned to serve the task. In this paper, we have studied the energy consumption in cloud environment based on varieties of services and achieved the provisions to promote green cloud computing. This will help to preserve overall energy consumption of the system. Task allocation in the cloud computing environment is a well-known problem, and through this problem, we can facilitate green cloud computing. We have proposed an adaptive task allocation algorithm for the heterogeneous cloud environment. We applied the proposed technique to minimize the makespan of the cloud system and reduce the energy consumption. We have evaluated the proposed algorithm in CloudSim simulation environment, and simulation results show that our proposed algorithm is energy efficient in cloud environment compared to other existing techniques. © 2013 IEEE. A centralized infrastructure system carries out existing data analytics and decision-making processes from our current highly virtualized platform of wireless networks and the Internet of Things (IoT) applications. There is a high possibility that these existing methods will encounter more challenges and issues in relation to network dynamics, resulting in a high overhead in the network response time, leading to latency and traffic. In order to avoid these problems in the network and achieve an optimum level of resource utilization, a new paradigm called edge computing (EC) is proposed to pave the way for the evolution of new age applications and services. With the integration of EC, the processing capabilities are pushed to the edge of network de vices such as smart phones, sensor nodes, wearables, and on-board units, where data analytics and knowledge generation are performed which removes the necessity for a centralized system. Many IoT applications, such as smart cities, the smart grid, smart traffic lights, and smart vehicles, are rapidly upgrading their applications with EC, significantly improving response time as well as conserving network resources. Irrespective of the fact that EC shifts the workload from a centralized cloud to the edge, the analogy between EC and the cloud pertaining to factors such as resource management and computation optimization are still open to research studies. Hence, this paper aims to validate the efficiency and resourcefulness of EC. We extensively survey the edge systems and present a comparative study of cloud computing systems. After analyzing the different network properties in the system, the results show that EC systems perform better than cloud computing systems. Finally, the research challenges in implementing an EC system and future research directions are discussed. © 2018, Springer Science+Business Media, LLC, part of Springer Nature. The enormous developments in the field of wireless communication technologies have made the unlicensed spectrum bands crowded, resulting uncontrolled interference to the traditional wireless network applications. On the other hand, licensed spectrum bands are almost completely allocated to the licensed users also known as Primary users (PUs). This dilemma became a blackhole for the upcoming innovative wireless network applications. To mitigate this problem, the cognitive radio (CR) concept emerges as a promising solution for reducing the spectrum scarcity issue. The CR network is a low cost solution for efficient utilization of the spectrum by allowing secondary users (SUs) to exploit the unoccupied licensed spectrum. In this paper, we model the PU's utilization activity by a two-state Discrete-Time-Markov Chain (DTMC) (i.e., Free and busy states), for identifying the temporarily unoccupied spectrum bands,. Furthermore, we propose a Cognitive Radio Sense-and-Wait assisted HARQ scheme, which enables the Cluster Head (CH) to perform sensing operation for the sake of determining the PU's activity. Once the channel is found in free state, the CH advertise control signals to the member nodes for data transmission relying on Stop-and-Wait Hybrid- Automatic Repeat-Request (SW-HARQ). By contrast, when the channel is occupied by the PU, the CH waits and start sensing again. Additionally, the proposed CRSW assisted HARQ scheme is analytical modeled, based on which the closed-form expressions are derived both for average block delay and throughput. Finally, the correctness of the closed-form expressions are confirmed by the simulation results. It is also clear from the performance results that the level of PU utilization and the reliability of the PU channel have great influence on the delay and throughput of CRSW assisted HARQ model. © 1998-2012 IEEE. Internet of Things (IoT) is a novel design paradigm, intended as a network of billions to trillions of tiny sensors communicating with each other to offer innovative solutions to real time problems. These sensors form a network named as wireless sensor networks (WSNs) to monitor physical environment and disseminate collected data back to the base station through multiple hops. WSN has the capability to collect and report data for a specific application. The location information plays an important role for various wireless sensor network applications. A majority of the applications are related to location-based services. The development of sensor technology, processing techniques, and communication systems give rise to a development of the smart sensor for the adaptive and innovative application. So a single localization technique is not adequate for all application. In this paper, a recent extensive analysis of localization techniques and hierarchical taxonomy and their applications in the different context is presented. This taxonomy of the localization technique is classified based on presence of offline training in localization, namely self-determining and training dependent approaches. Finally, various open research issues related to localization schemes for IoT are compared and various directions for future research are proposed. © 2013 IEEE. Wireless sensors are an important component to develop the Internet of Things (IoT) Sensing infrastructure. There are enormous numbers of sensors connected with each other to form a network (well known as wireless sensor networks) to complete the IoT Infrastructure. These deployed wireless sensors are with limited energy and processing capabilities. The IoT infrastructure becomes a key factor to building cyber-physical-social networking infrastructure, where all these sensing devices transmit data toward the cloud data center. Data routing toward cloud data center using such low power sensor is still a challenging task. In order to prolong the lifetime of the IoT sensing infrastructure and building scalable cyber infrastructure, there is the requirement of sensing optimization and energy efficient data routing. Toward addressing these issues of IoT sensing, this paper proposes a novel rendezvous data routing protocol for low-power sensors. The proposed method divides the sensing area into a number of clusters to lessen the energy consumption with data accumulation and aggregation. As a result, there will be less amount of data stream to the network. Another major reason to select cluster-based data routing is to reduce the control overhead. Finally, the simulation of the proposed method is done in the Castalia simulator to observe the performance. It has been concluded that the proposed method is energy efficient and it prolongs the networks lifetime for scalable IoT infrastructure. © 2012 IEEE. In 2008, the emergence of the blockchain as the foundation of the first-ever decentralized cryptocurrency not only revolutionized the financial industry but proved a boon for peer-to-peer (P2P) information exchange in the most secure, efficient, and transparent manner. The blockchain is a public ledger that works like a log by keeping a record of all transactions in chronological order, secured by an appropriate consensus mechanism and providing an immutable record. Its exceptional characteristics include immutability, irreversibility, decentralization, persistence, and anonymity. Heterogeneous vehicular networks (HETVNETs) evolve from vehicular ad hoc networks (VANETs), which allow vehicles to always be connected so as to obtain safety services within intelligent transportation systems (ITSs). The services and data provided by HETVNETs should be neither interrupted nor delayed. Therefore, Quality of Service (QoS) improvement of HETVNETs is one of the topics attracting the attention of researchers and the manufacturing community. Several methodologies and frameworks have been devised by researchers to address QoS-prediction service issues. In this paper, to improve QoS, we evaluate various traffic characteristics of HETVNETs and propose a new supervised learning model to capture knowledge on all possible traffic patterns. This model is a refinement of support vector machine (SVM) kernels with a radial basis function (RBF). The proposed model produces better results than SVMs, and outperforms other prediction methods used in a traffic context, as it has lower computational complexity and higher prediction accuracy. © 2018 The primary innovations behind Software Defined Networks (SDN) are the decoupling of the control plane from the data plane and centralizing the network management through a specialized application running on the controller. In spite of many advantages, SDN based data centers' security issues is still a matter of concern among the research communities. Although SDN becomes a valuable tool to defeat attackers, at the same time SDN itself becomes a victim of Distributed Denial-of-Service (DDoS) attacks due to the potential vulnerabilities exist across various SDN layer. The logically centralized controller is always an attractive target for DDoS attack. Hence, it is important to have a fast as well as accurate detection model to detect the control layer attack traffic at an early stage. We have employed information distance (ID) as a metric to detect the attack traffic at the controller. The ID metric can quantify the deviations of network traffic with different probability distributions. In this paper, taking the advantages of flow based nature of SDN, we proposed a Generalized Entropy (GE) based metric to detect the low rate DDoS attack to the control layer. The experimental results show that our detection mechanism improves the detection accuracy as compared to Shannon entropy and other statistical information distance metrics. © 2018 Elsevier Inc. Software Defined Networks (SDN) is a popular modern network technology that decouples the control logic from the underlying hardware devices. The control logic has implemented as a software entity that resides in a server called controller. In a Software-Defined Wide Area Network (SDWAN) with n nodes; deploying k number of controllers (k < n) is one of the challenging issue. Due to some internal or external factors, when the primary path between switch to controller fails, it severely interrupt the networks' availability. In this regard, the proposed approach provides a seamless backup mechanism against single link failure with minimum communication delay based on the survivability model. In order to obtain an efficient solution, we have considered controller placement problem (CPP) as a multi-objective combinatorial optimization problem and solve it using two population-based meta-heuristic techniques such as: Particle Swarm Optimization (PSO) and FireFly Algorithm (FFA). For CPP, three metrics have been considered: (a) controller to switch latency, (b) inter-controller latency and (c) multi-path connectivity between the switch and controller. The performance of the algorithms is evaluated on a set of publicly available network topologies in order to obtain the optimum number of controllers, and controller positions. Then we present Average Delay Rise (ADR) metric to measure the increased delay due to the failure of the primary path. By comparing the performance of our scheme to competing scheme, it was found that our proposed scheme effectively improves the survivability of the control path and the performance of the network as well. The Internet of Things (IoT) is focused on architectures and protocols for the efficient interconnection of heterogeneous things, deployment of infrastructure, and creation of value-added services. The IoT has become an emerging technology, where more than 50 billion things will be connected to the Internet by 2020, and data in the network will grow by another 1,000 times. The framework of the IoT is the backbone for several applications, such as smart cities and smart homes, where most of the data move to the cloud for further evaluation because of the resource poverty of IoT devices. © 2013 IEEE. Achieving quick responses with limited energy consumption in mobile cloud computing is an active area of research. The energy consumption increases when a user's request (task) runs in the local mobile device instead of executing in the cloud. Whereas, latency become an issue when the task executes in the cloud environment instead of the mobile device. Therefore, a tradeoff between energy consumption and latency is required in building sustainable Internet of Things (IoT), and for that, we have introduced a middle layer named an edge computing layer to avoid latency in IoT. There are several real-time applications, such as smart city and smart health, where mobile users upload their tasks into the cloud or execute locally. We have intended to minimize the energy consumption of a mobile device as well as the energy consumption of the cloud system while meeting a task's deadline, by offloading the task to the edge datacenter or cloud. This paper proposes an adaptive technique to optimize both parameters, i.e., energy consumption and latency by offloading the task and also by selecting the appropriate virtual machine for the execution of the task. In the proposed technique, if the specified edge datacenter is unable to provide resources, then the user's request will be sent to the cloud system. Finally, the proposed technique is evaluated using a real-world scenario to measure its performance and efficiency. The simulation results show that the total energy consumption and execution time decrease after introducing an edge datacenters as a middle layer. © 2016 Springer Science+Business Media New YorkIn wireless sensor networks, the sensor nodes find the route towards the sink to transmit data. Data transmission happens either directly to the sink node or through the intermediate nodes. As the sensor node has limited energy, it is very important to develop efficient routing technique to prolong network life time. In this paper we proposed rendezvous-based routing protocol, which creates a rendezvous region in the middle of the network and constructs a tree within that region. There are two different modes of data transmission in the proposed protocol. In Method 1, the tree is directed towards the sink and the source node transmits the data to the sink via this tree, whereas in Method 2, the sink transmits its location to the tree, and the source node gets the sink's location from the tree and transmits the data directly to the sink. The proposed protocol is validated through experiment and compared with the existing protocols using some metrics such as packet delivery ratio, energy consumption, end-to-end latency, network life time. © 2016 ACM. Applications in risk-critical domains such as emergency management and industrial control systems need near-real-time stream data processing in large-scale sensing networks. The key problem is how to ensure online end-to-end security (e.g., confidentiality, integrity, and authenticity) of data streams for such applications. We refer to this as an online security verification problem. Existing data security solutions cannot be applied in such applications as they cannot deal with data streams with high-volume and high-velocity data in real time. They introduce a significant buffering delay during security verification, resulting in a requirement for a large buffer size for the stream processing server. To address this problem, we propose a Dynamic Key-Length-Based Security Framework (DLSeF) based on a shared key derived from synchronized prime numbers; the key is dynamically updated at short intervals to thwart potential attacks to ensure end-to-end security. Theoretical analyses and experimental results of the DLSeF framework show that it can significantly improve the efficiency of processing stream data by reducing the security verification time and buffer usage without compromising security. © 2013 IEEE. A Wireless Sensor Network (WSN) consists of enormous amount of sensor nodes. These sensor nodes sense the changes in physical parameters from the sensing range and forward the information to the sink nodes or the base station. Since sensor nodes are driven with limited power batteries, prolonging the network lifetime is difficult and very expensive, especially for hostile locations. Therefore, routing protocols for WSN must strategically distribute the dissipation of energy, so as to increase the overall lifetime of the system. Current research trends from areas, such as from Internet of Things and fog computing use sensors as the source of data. Therefore, energy-efficient data routing in WSN is still a challenging task for real-Time applications. Hierarchical grid-based routing is an energy-efficient method for routing of data packets. This method divides the sensing area into grids and is advantageous in wireless sensor networks to enhance network lifetime. The network is partitioned into virtual equal-sized grids. The proposed mode-switched grid-based routing protocol for WSN selects one node per grid as the grid head. The routing path to the sink is established using grid heads. Grid heads are switched between active and sleep modes alternately. Therefore, not all grid heads take part in the routing process at the same time. This saves energy in grid heads and improves the network lifetime. The proposed method builds a routing path using each active grid head which leads to the sink. For handling the mobile sink movement, the routing path changes only for some grid head nodes which are nearer to the grid, in which the mobile sink is currently positioned. Data packets generated at any source node are routed directly through the data disseminating grid head nodes on the routing path to the sink. © 2012 IEEE. Modern sensing devices play a pivotal role in achieving data acquisition, communication, and dissemination for the Internet of Things (IoT). Naturally, IoT applications and intelligent sensing systems supported by sensing devices, such as wireless sensor networks (WSNs), are closely coupled. Modern intelligent sensing systems generate huge volumes of sensing data, well beyond the processing capabilities of common techniques and tools. As a result, collecting, managing, and processing IoT big sensing data within an acceptable time duration is a new challenge for both research and industrial applications. The massive size, extreme complexity, and high speed of big sensing data bring new technical requirements including data collection, data storage, data organization, data analysis, and data publishing in real time when deploying real-world IoT applications. To better facilitate these IoT applications, the convergent research of WSNs, big data, the IoT, and cloud computing is a natural scientific development trend. In this article, we concentrate on big-sensing-data curation and preparation issues with cloud computing under the theme of the IoT. There are three especially critical issues that need to be addressed: scalable big-sensing-data cleaning, scalable big-sensing-data compression, and cloud-based data curation response for IoT device optimization. Viewed from the IoT side, all IoT sensing devices are integrated together in an adaptive solution and upload their data onto the cloud. The automatic responses from both the cloud and intelligent sensors will change the status or behavior of sensing devices and, therefore, the status of the IoT itself. Big data streaming has become an important paradigm for real-time processing of massive continuous data flows in large scale sensing networks. While dealing with big sensing data streams, a Data Stream Manager (DSM) must always verify the security (i.e. authenticity, integrity, and confidentiality) to ensure end-to-end security and maintain data quality. Existing technologies are not suitable, because real time introduces delay in data stream. In this paper, we propose a Dynamic Prime Number Based Security Verification (DPBSV) scheme for big data streams. Our scheme is based on a common shared key that updated dynamically by generating synchronized prime numbers. The common shared key updates at both ends, i.e., source sensing devices and DSM, without further communication after handshaking. Theoretical analyses and experimental results of our DPBSV scheme show that it can significantly improve the efficiency of verification process by reducing the time and utilizing a smaller buffer size in DSM. © 2017 by Taylor & Francis Group, LLC. The leverage of high-throughput technologies in biology area brings the academia and industry an enormous amount of 'omics' data. These data include genomics data and proteomics data. In this chapter we consider mostly on the genomics data. Benefited from the development of 'Big Data' area and also the domain knowledge driven by genomics data, two subsequent areas including precision medicine and cancer genomics, are discussed in this chapter. Meanwhile, we consider genomics data from the 'Big Data' landscape and give a comprehensive 'life cycle' on these data. Two significant and state-of-the-art cases in genomics data study are also presented. These two cases, which are ENCODE and CGHub, show inspiring and interesting results by the integration of big data analytics technology in genomics data. As the life science, biomedicine and health care sectors are at a turning point into data intensive science. Since we could benefit from the overwhelming genomics data, big data analytics shows us a promising potential to deliver a better understanding and improvement of our life. © 2018, ICST Institute for Computer Sciences, Social Informatics and Telecommunications Engineering. The Internet of Things (IoT) introduces a future vision where users, computer, computing devices and daily objects possessing sensing and actuating capabilities cooperate with unprecedented convenience and benefits. We are moving towards IoT trend, where the number of smart sensing devices deployed around the world is growing at a rapid speed. With considering the number of sources and types of data from smart sources, the sensed data tends to new trend of research i.e. big data. Security will be a fundamental enabling factor of most IoT applications and big data, mechanisms must also be designed to protect communications enabled by such technologies. This paper analyses existing protocols and mechanisms to secure the IoT and big data, as well as security threats in the domain. We have broadly divided the IoT architecture into several layers to define properties, security issues and related works to solve the security concerns. © 2018 ACM. Nowadays, the use of social media has reached unprecedented levels. Among all social media, with its popular micro-blogging service, Twitter enables users to share short messages in real time about events or express their own opinions. In this paper, we examine the effectiveness of various machine learning techniques on retrieved tweet corpus. A machine learning model is deployed to predict tweet sentiment, as well as gain an insight into the correlation between twitter sentiment and stock prices. Specifically, that correlation is acquired by mining tweets using Twitter's search API and process it for further analysis. To determine tweet sentiment, two types of machine learning techniques are adopted including Naïve Bayes classification and Support vector machines. By evaluating each model, we discover that support vector machine gives higher accuracy through cross validation. After predicting tweet sentiment, we mine historical stock data using Yahoo finance API, while the designed feature matrix for stock market prediction includes positive, negative, neutral and total sentiment score and stock price for each day. In order to capturing the correlation situation between tweet opinions and stock market prices, hence, evaluating the direct correlation between tweet sentiments and stock market prices, the same machine learning algorithm is implemented for conducting our empirical study. © 2018 IEEE. Selecting vehicles to supply resources is a crucial research problem in the vehicular cloud and highly depends on the pricing of the resources. Subsequently, resource pricing is an intricate problem influenced by the market demand and quality of service provided. Widespread and autonomous vehicular network requires reputation as a medium for trusting the supplier vehicles. Taking into account the above factors, we design the utility of supplier and consumer vehicles. Subsequently, a 1st score auction mechanism is proposed and modeled for the consumer vehicles to obtain maximum utility. Additionally, the protocol enables the supplier vehicles to decide the optimal pricing of resources. The 1st auction protocol is then simulated and the experimental results indicate better performance of our protocol than other standard protocols. © 2018 IEEE. A fingerprinting of a physical device is useful in distinguishing a device from others. In security perspective device fingerprinting has many applications such as device authentication, network access management, withstanding attacks related to identity spoofing and tracing the malicious devices. In this paper, a technique of wireless devices fingerprinting has been presented. We have used the discrete wavelet transformation on the inter-arrival delay of network packets to extract a unique pattern embedded in their packet transmission. The performance evaluation of the model is done by using GTID dataset. The proposed method gives better accuracy and identifies more number of devices than the existing techniques. © 2017 IEEE. Mobile wireless sensor networks are gaining importance for diverse application in recent days. There are many design challenges arises with mobile wireless sensor network. The biggest challenge is to develop an efficient sensor deployment algorithm. These sensor networks relocate sensors to achieve a specific network performance goal. This work reviews the existing sensor node deployment algorithms for mobile nodes and their application area. The effect of sensor node deployment algorithms based on mobility of sensor nodes for obtaining the desired performance goal of the network is analyzed. A circle packing based movement assisted algorithms have been proposed and analyzed compared with the existing algorithms. Further open problems in this area is discussed. © 2017 IEEE. In recent years, Internet of Things(IoT) gained popularity due to its enormous applications in many fields. IoT network comprises heterogeneous devices to a great scale, which creates numerous security threats. In this paper, a smart home based on IoT architecture is considered, where the IoT smart Hub(ISH) communicate with the cloud in one hand, and home appliances and smart devices on the other. The IoT smart Hub(ISH) receives commands from the smart phone which is connected to the cloud through the internet, where lies the possibility of an external attack. This paper proposes a secure authentication protocol between smart phone and ISH, which supports ISH for ensuring security in the smart home scenario. © 2018 The Authors. Published by Elsevier Ltd. This paper proposes a method to allow users to select target species for detection, generate an initial detection model by selecting a small piece of image sample and as the movie plays, continue training this detection model automatically. This method has noticeable detection results for several types of objects. The framework of this study is divided into two parts: the initial detection model and the online learning section. The detection model initialization phase use a sample size based on the proportion of users of the Haar-like features to generate a pool of features, which is used to train and select effective classifiers. Then, as the movie plays, the detecting model detects the new sample using the NN Classifier with positive and negative samples and the similarity model calculates new samples based on the fusion background model to calculate a new sample and detect the relative similarity to the target. From this relative similarity-based conservative classification of new samples, the conserved positive and negative samples classified by the video player are used for automatic online learning and training to continuously update the classifier. In this paper, the results of the test for different types of objects show the ability to detect the target by choosing a small number of samples and performing automatic online learning, effectively reducing the manpower needed to collect a large number of image samples and a large amount of time for training. The Experimental results also reveal good detection capability. © 2017 ACM. Distributed autonomous systems that rely on dataset matching and set intersection computation for decision making capabilities are vulnerable to datasets poisoning attacks. Among these systems, Industrial Control Systems (ICS) operating on critical infrastructures. Attacker with a compromised Programmable Logic Controllers (PLCs) can take advantage of the PLC-to-PLC information sharing process to construct and inject anomalous data that target the result of dataset matching and set intersection computation and hence bring the process operations into unstable state. We introduce a protocol that utilizes secure hamming distance computation from oblivious transfer to compute a joint set between two system's agents that hold private input datasets of length n. The proposed protocol achieves full security in the semi-honest model. © 2017 IEEE. The development of delay sensitive applications needs massive data storage and computing resources, especially in a typical cloud environment. The cloud computing paradigm provides a broad range of services viz. software, platform, and infrastructure for various applications (both real-time and non real-time) over the Internet. But, in the case of Infrastructure-as-a-Service (IaaS) cloud platform, either over provisioning or under-provisioning of resources becomes a challenging issue for time constraint applications. An accurate modeling of cloud centers is not feasible due to the nature of cloud centers and diversity of user requests. We present an analytical model to estimate the performance of the cloud center for deadline sensitive tasks. We used the model to find the number of task miss deadline, waiting time of a task, and response time of the service, among others. © 2017 IEEE. Cloud computing is a novel technology leads several new challenges to all organizations worldwide. Cloud computing supports virtual machines (VMs) to host multiple applications simultaneously. Balancing the large numbers of applications in the heterogeneous cloud environment becomes challenging as the hypervisor scheduling controls all VMs. When the scheduler allocates tasks to the overloaded VMs, the performance of the cloud system degrades. In this paper, we present a novel load balancing approach to organizing the virtualized resources of the data center efficiently. In our approach, the load to a VM scales up and down according to the resource capacity of the VM. The proposed scheme minimizes the makespan of the system, maximizes resource utilization and reduces the overall energy consumption. We have evaluated our approach in CloudSim simulation environment, and our devised approach has reduced the waiting time compared to existing approaches and optimized the makespan of the cloud data center. © 2017 IEEE. Secure interoperation is an important technology to protect shared data in multi-domain environments. IRBAC (Interoperable Role-based Access Control) 2000 model has been proposed to achieve security interoperation between two or more RBAC administrative domains. Static Separation of Duties (SSoD) is an important security policy in RBAC, but it has not been enforced in the IRBAC 2000 model. As a result, some previous works have studied the problem of SMER (Statically Mutually Exclusive Roles) constraints violation between two RBAC domains in the IRBAC 2000 model. However all of them do not enforce how to preserve privacy of RBAC policies, such as roles, roles hierarchies and user-role assignment while detecting SMER constraints violation, if the two interoperable domains do not want to disclose them each other and to others. In order to enforce privacy-preserving detection of SMER constraints violation, we first introduce a solution without privacy-preserving mechanism using matrix product. Then a privacy-preserving solution is proposed to securely detect SMER constraints violation without disclosing any RBAC policy based on a secure three-party protocol to matrix product computation. By efficiency analysis and experimental results comparison, the secure three-party computation protocol to matrix product based on the Paillier cryptosystem is more efficient and practical. © Copyright 2017 by SCITEPRESS - Science and Technology Publications, Lda. All rights reserved. Software Defined Networks (SDN) is a popular paradigm in the modern networking systems that decouples the control logic from the underlying hardware devices. The control logic has implemented as a software component and residing in a server called controller. To increase the performance, deploying multiple controllers in a large-scale network is one of the key challenges of SDN. To solve this, authors have considered controller placement problem (CPP) as a multi-objective combinatorial optimization problem and used different heuristics. Such heuristics can be executed within a specific time-frame for small and medium sized topology, but out of scope for large scale instances like Wide Area Network (WAN). In order to obtain better results, we propose Particle Swarm Optimization (PSO) and Firefly two population-based meta-heuristic algorithms for optimal placement of the controllers, which take a particular set of objective functions and return the best possible position out of them. The problem has been defined, taking into consideration both controllers to switch and inter-controller latency as the objective functions. The performance of the algorithms evaluated on a set of publicly available network topologies in terms execution time. The results show that the FireFly algorithm performs better than PSO and random approach under various conditions. © 2017, Springer International Publishing AG. Feature extraction is an essential step in solving real-world pattern recognition and classification problems. The accuracy of face recognition highly depends on the extracted features to represent a face. The traditional algorithms uses geometric techniques, comprising feature values including distance and angle between geometric points (eyes corners, mouth extremities, and nostrils). These features are sensitive to the elements such as illumination, variation of poses, various expressions, to mention a few. Recently, deep learning techniques have been very effective for feature extraction, and deep features have considerable tolerance for various conditions and unconstrained environment. This paper proposes a two layer deep convolutional neural network (CNN) for face feature extraction and applied sparse representation for face identification. The sparsity and selectivity of deep features can strengthen sparseness for the solution of sparse representation, which generally improves the recognition rate. The proposed method outperforms other feature extraction and classification methods in terms of recognition accuracy. © 2017 IEEE. This paper proposes a novel Fast Deformable Model for Pedestrian Detection (FDMPD) to detect the pedestrians efficiently and accurately in the crowded environment. Despite of multiple detection methods available, detection becomes difficult due to variety of human postures and perspectives. The proposed study is divided into two parts. First part trains six Adaboost classifiers with Haar-like feature for different body parts (e.g., head, shoulders, and knees) to build the response feature maps. Second part uses these six response feature maps with full-body model to produce spatial deep features. The combined deep features are used as an input to SVM to judge the existence of pedestrian. As per the experiments conducted on the INRIA person dataset, the proposed FDMPD approach shows greater than 44.75 % improvement compared to other state-of-the-art methods in terms of efficiency and robustness. Cloud computing and big data analysis are gaining lots of interest across a range of applications including disaster management. These two technologies together provide the capability of real-time data analysis not only to detect emergencies in disaster areas, but also to rescue the affected people. This paper presents a framework that supports emergency event detection and alert generation by analyzing the data stream, which includes efficient data collection, data aggregation and alert dissemination. One of the goals for such a framework is to support an end-to-end security architecture to protect the data stream from unauthorized manipulation as well as leakage of sensitive information. The proposed system provides support for both data security punctuation and query security punctuation. This paper presents the proposed architecture with a specific focus on data stream security. It also briefly describes the implementation of security aspects of the architecture. © Springer International Publishing Switzerland 2015 The near real-time processing of continuous data flows in large scale sensor networks has many applications in risk-critical domains ranging from emergency management to industrial control systems. The problem is how to ensure end-to-end security (e.g., integrity, and authenticity) of such data stream for risk-critical applications. We refer this as an online security verification problem. Existing security techniques cannot deal with this problem because they were not designed to deal with high volume, high velocity data in real-time. Furthermore, they are inefficient as they introduce a significant buffering delay during security verification, resulting in a requirement of large buffer size for the stream processing server. To address this problem, we propose a Dynamic Key Length Based Security Framework (DLSeF) based on the shared key derived from synchronized prime numbers; the key is dynamically updated in short intervals to thwart Man in the Middle and other Network attacks. Theoretical analyses and experimental results of DLSeF framework show that it can significantly improve the efficiency of processing stream data by reducing the security verification time without compromising the security. © 2015 IEEE. Social networks, though started as a software tool enabling people to connect with each other, have emerged in recent times as platforms for businesses, individuals and government agencies to conduct a number of activities ranging from marketing to emergency situation management. As a result, a large number of social network analytics tools have been developed for a variety of applications. A snapshot of social networks at any particular time, called a social graph, represents the connectivity of nodes and potentially the flow of information amongst the nodes (or vertices) in the graph. Understanding the flow of information in a social graph plays an important role in social network applications. Two specific problems related to information flow have implications in many social network applications: (a) finding a minimum set of nodes one has to know to recover the whole graph (also known as the vertex cover problem) and (b) determining the minimum set of nodes one required to reach all nodes in the graph within a specific number of hops (we refer this as the vertex reach problem). Finding an optimal solution to these problems is NP-Hard. In this paper, we propose approximation based approaches and show that our approaches outperform existing approaches using both a theoretical analysis and experimental results. © 2015 IEEE. The revolution in high-speed broadband network is the requirement of the current time, in other words here is an unceasing demand for high data rate and mobility. Both provider and customer see, the long time evolution (LTE) could be the promising technology for providing broadband, mobile Internet access. To provide better quality of service (QoS) to customers, the resources must be utilized at its fullest impeccable way. Resource scheduling is one of the important functions for remanufacturing or upgrading system performance. This paper studies the recently proposed packet scheduling schemes for LTE systems. The study has been concentrated in implication to real-time services such as online video streaming and Voice over Internet Protocol (VOIP). For performance study, the LTE-Sim simulator is used. The primary objective of this paper is to provide results that will help researchers to design more efficient scheduling schemes, aiming to get better overall system performance. For the simulation study, two scenarios, one for video traffic and other for VoIP have been created. Various performances metric such as packet loss, fairness, end-to-end (E2E) delay, cell throughput and spectral efficiency has been measured for both the scenarios varying numbers of users. In the light of the simulation result analysis, the frame level scheduler (FLS) algorithms outperform other, by balancing the QoS requirements for multimedia services. Stream processing has become an important paradigm for the massive real-time processing of continuous data flows in large scale sensor networks. While dealing with big data streams in sensor networks, Stream Processing Engines (SPEs) must always verify the authenticity, and integrity of the data as the medium of communication is untrusted, as malicious attackers could access and modify the data. Existing technologies for data security verification are not suitable for data streaming applications, as the verification in real time introduces significant overheads. In this paper, we propose a Dynamic Prime Number Based Security Verification (DPBSV) scheme for big data stream processing. Our scheme is based on a common shared key that is updated dynamically by generating synchronized pairs of prime numbers. Theoretical analyses and experimental results of our DPBSV scheme show that it can significantly improve the efficiency as compared to existing approaches by reducing the security verification overhead. Our approach not only reduces the verification time, but also strengthens the security of the data by constantly updating the shared keys. Vehicular Ad-hoc Networks (VANETs) are special kind of Mobile Ad-hoc Networks (MANETs). The distinctive characteristics of the VANETs include high speed of vehicular nodes and high variability in node density. Congestion detection and control protocols have been proved to be an efficient method for improving network performance and are well studied for the MANET environment. However, they often result in sub-optimal network performance for the vehicular network environment due to the specialized characteristics of VANET. In this paper we present an adaptive and distributed cross-layer congestion detection and control protocol for the VANET environment. During the congestion detection phase, information from each layer of the network protocol stack is combined and mapped on to congestion levels. In the subsequent congestion control phase parameters like contention window, transmission rate and transmit power are jointly adjusted to improve on the network performance. The effectiveness of the proposed model is evaluated through mathematical analysis and simulation-based studies. © 2013 IEEE. © 2014 IEEE. Vehicular Ad-hoc Networks (VANETs) are special kind of Mobile Ad-hoc Networks (MANETs). The distinctive characteristics of the VANETs include high speed of vehicular nodes and high variability in node density. Collecting data from VANETs is important to monitor, control and manage road traffic. However, efficient collection of the needed data is quite challenging due to vehicles mobility and the tremendous amount of events and data generated. In this paper we focus on vehicle data collection using 3G/LTE. In the first step, we compare proactive and reactive data collection schemes using simulation. The results show that proactive gives the lowest delay and bandwidth usage but the most loss ratio. Interested in optimizing the bandwidth usage, an adaptive data collection scheme will be provided. It is based on the proactive scheme while it uses variable periods depending on the vehicle position and travel time to provide accurate traffic and travel time information to the Traffic Management Center (TMC). Emulation results, using taxi traces in Qatar, shows that our algorithm consumes an acceptable amount of mega bytes ( 31MB) per month when the basic reporting period is set to 10s.